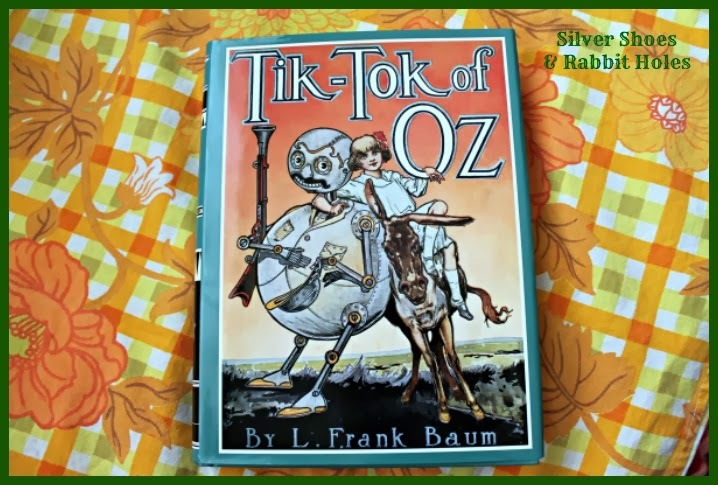 Tik-Tok of Oz by L. Frank Baum. Originally published by Reilly & Britton, 1914. Books Of Wonder edition published by HarperCollins, 1996. It's been a while since I've shared an Oz book! Well, a long while for me, at any rate. Throughout the month of December, we concentrated on seasonal reads, including some I didn't write about here. Once we finished The Patchwork Girl of Oz, I started reading L. Frank Baum's The Life and Adventures of Santa Claus to the girls at bedtime. I'm sad to say that the reason I didn't post about it is we didn't finish it. Little Sis was not on board with it this year. Her sister wanted me to keep reading, but we had so many other books to read that it seemed like a good idea to put it away until next year. If Little Sis isn't agreeable then, well, I guess Big Sis and I will carve out some mother-daughter alone time! There have been no protestations against reading the next Oz book, though. In fact, Little Sis is the one who begged to start it! 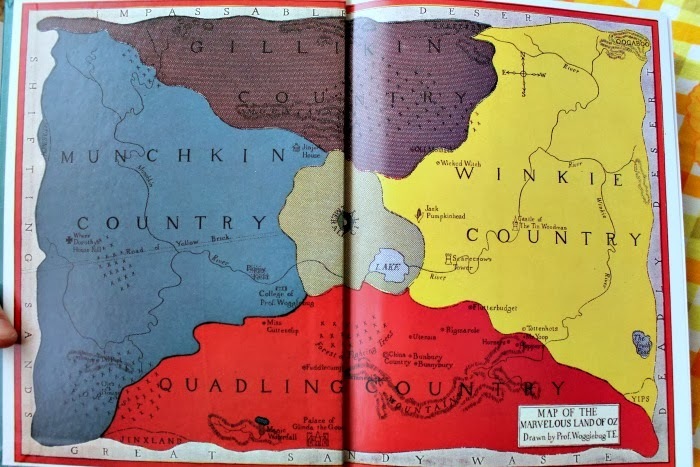 The first map of Oz to appear in print! There are mistakes, however. The Munchkin and Winkie countries are backward. 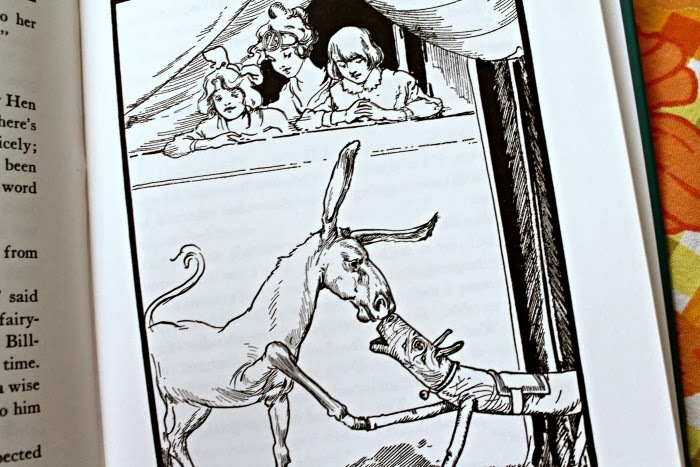 I knew the eighth book was Tik-Tok of Oz, and I remembered that this is the book that introduces Betsy Bobbin and her donkey friend, Hank, and it involved the Nome King, but until I started reading, the specifics of the plot were lost in my memory. We are not terribly far into the book, but I think the reason I forgot so much is simple: it just wasn't a favorite. 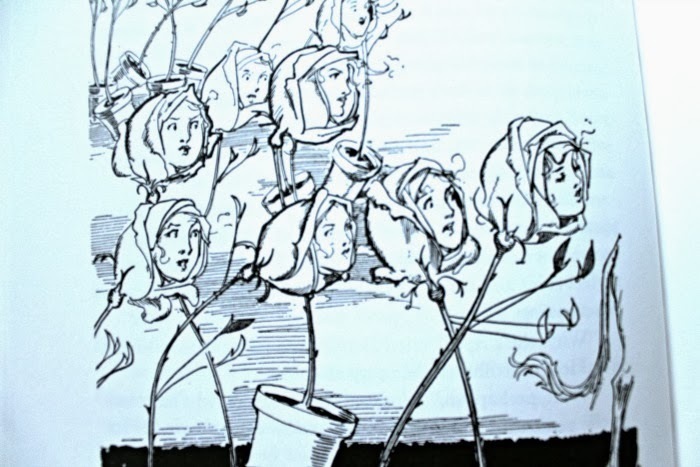 Baum adapted parts of it from a stage musical of the same name, then changed it and added to it. The introduction of Betsy feels incredibly familiar. 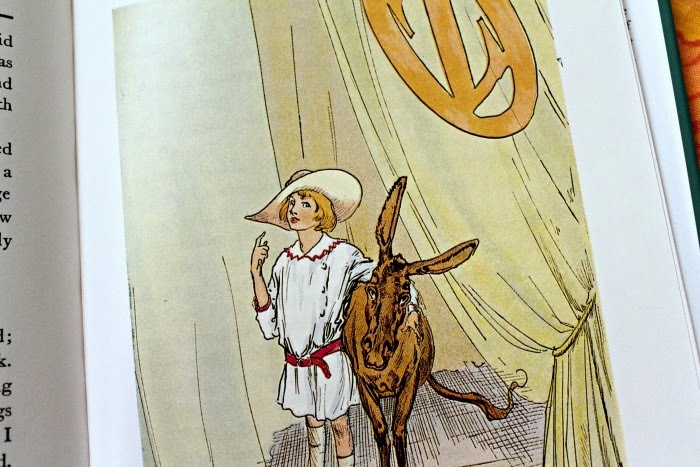 She washes up on a shore adjacent to the Land of Oz, having survived a shipwreck with a donkey named Hank, very similar to Dorothy washing up in the Land of Ev, having survived a shipwreck with Billina in Ozma of Oz. 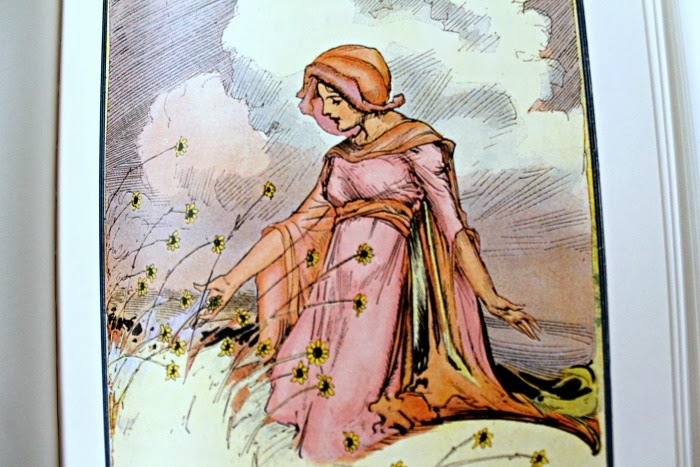 Betsy is supposedly a year older than Dorothy (a fact learned in a later book), and she's from Oklahoma instead of Kansas, but her character doesn't seem much different from Dorothy in the early books. There are several storylines to follow in this one, new characters, old characters with new names (the Nomes who lost their memories in The Emerald City of Oz are back to their old tricks, with new names), and old standbys. There is an unruly princess who gathers all the men of her tiny kingdom together in the hopes of conquering the world, and her army, made up of all officers and one private. We meet a beautiful Rose Princess, rejected by her rose people to be ruler because she is female, thus banished from her garden to become mortal. 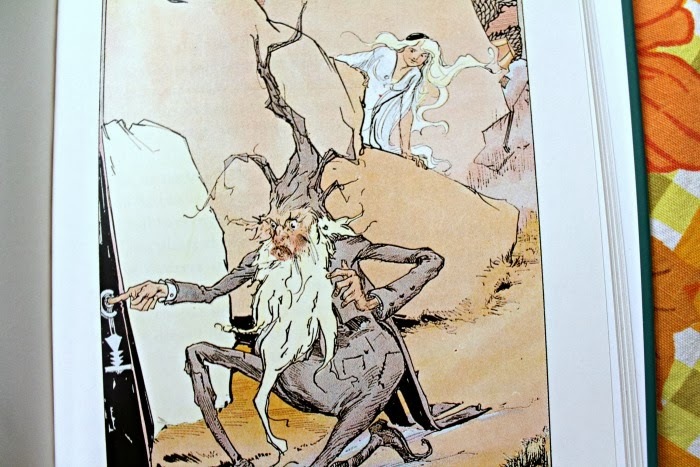 We meet up with the Shaggy Man, searching outside of Oz for his brother, thought to be imprisoned by the Nome King. Shaggy and Betsy find Tik-Tok in a well, and meet up with Polychrome, the Rainbow's Daughter. Whew. If you want to know more, check out the Wikipedia entry. We haven't read much farther than that anyway. 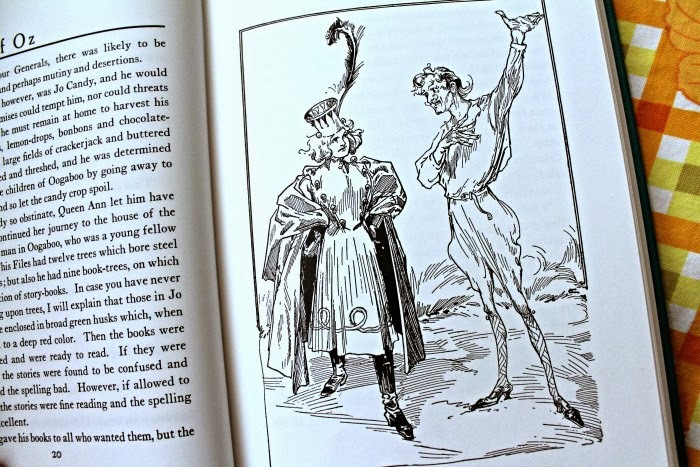 One of my chief complaints about this book is that it contains far fewer color illustrations, especially since it directly follows the beautiful Patchwork Girl of Oz. Reilly & Britton was attempting to cut costs. 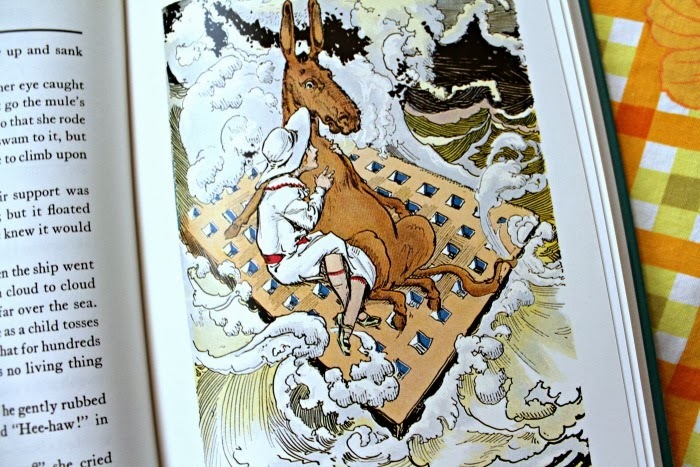 Fortunately, we do have illustrations like this gorgeous one of Ozga, the Rose Princess. 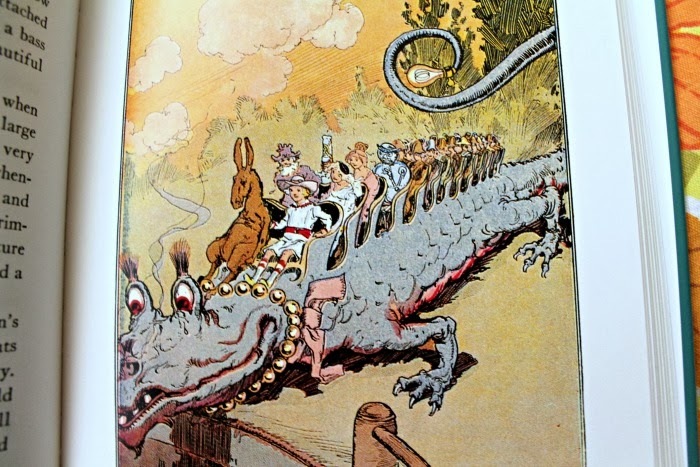 I love this color glimpse at Quox the dragon, as well. 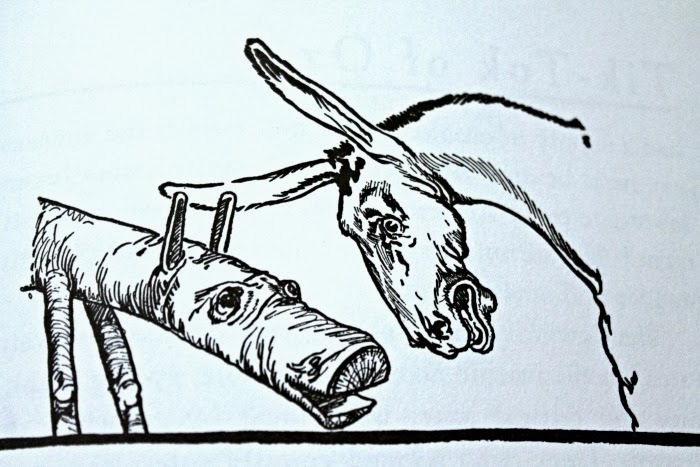 Sadly, I do believe this is the only color illustration of Polychrome in this book. 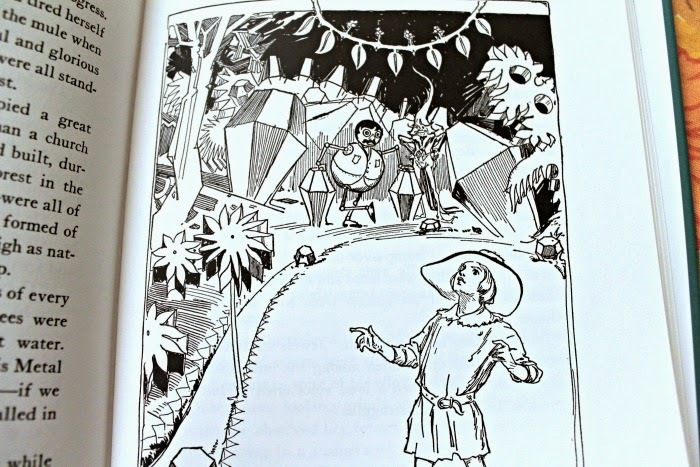 John R. Neill had yet to do her justice, since there were no color illustrations in The Road to Oz. This black-and-white drawing of Polychrome going home is quite lovely. And strangely, this one is a weaker entry! I love John R. Neill. That was the title! 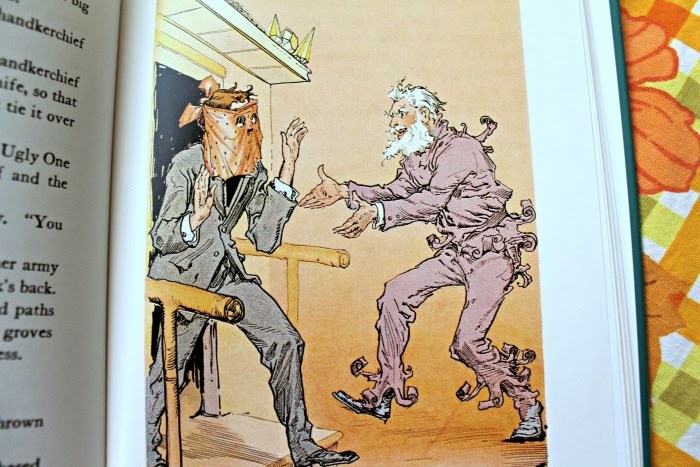 The movie is so dark and they mixed up elements from a couple of the books and made them darker than they were in the books, but the design of Tik-Tok and Jack Pumpkinhead is so right. Both characters look like Neill's art come to life! see I DO remember this one and I loved it! well, i just loved all of them. I remember that Rose Princess so fondly and ha ha, i forgot about the army made up of officers, but now that i recall them, I remember thinking that was so funny! sorry Life of Santa didn't work out this yr -- you know, I think I read that one when I was like, 9 or something. It's kinda more somber in tone as a whole, don't you think? Compared to the Oz books? Have you ever read Queen Xixi of Ix? It's one of my great favs and I lost my copy and I have to buy a new one and then review it. It's one of my great great favorites! I love that you're profiling so many wonderful Oz books!!!!!!!!!!! Of course, the crusading princess was stealing Ozma's idea. 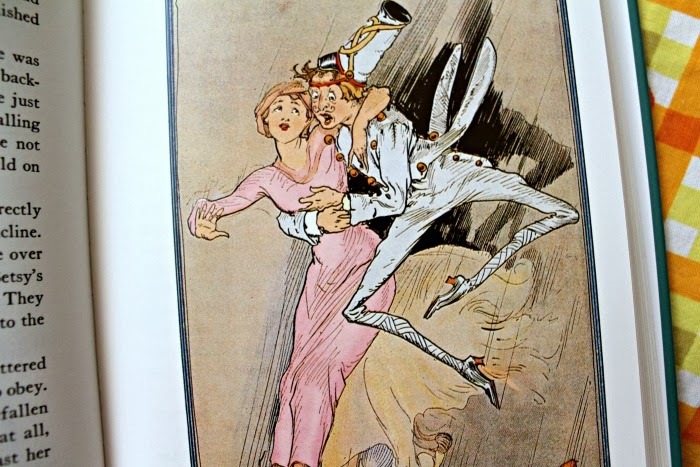 In Ozma of Oz, her whole army consists of officers and one private, who she promotes to Captain General at the end. He borrows A LOT from his earlier books for this one, and seems to have forgotten that Polychrome and the Shaggy Man have already adventured together before. But if you sit around and try to spot all the inconsistencies in the books, you will go crazy. Baum seemed to change his mind about his characters all the time. 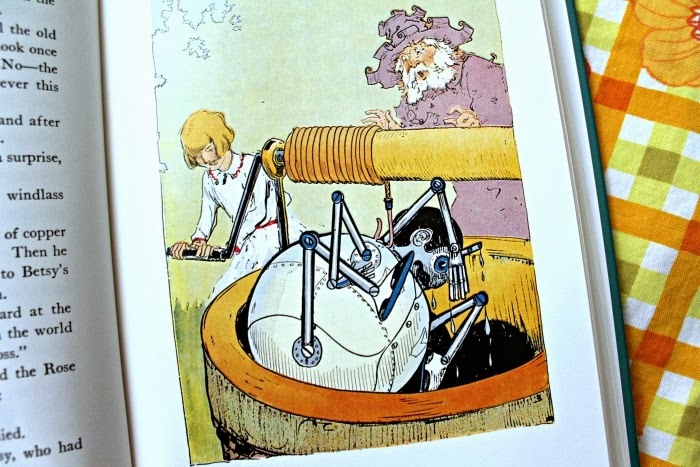 I need to read other Baum books! 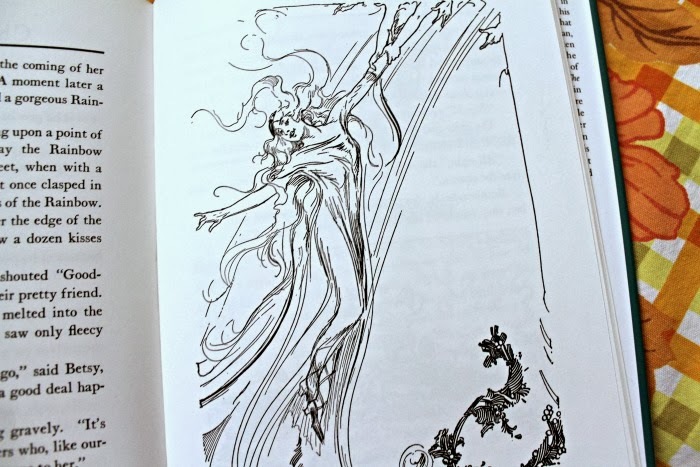 I want to read Sky Island and The Sea Fairies, since those characters pop into Oz in the next book. I was enjoying Santa all right, but it was too slow and a bit precious for Little Sis. Big Sis was loving it, but she is much more patient! I may have downloaded Queen Xixi of Ix on the nook. I'll have to check! Yeah, see, the last time I read these, I decided that Betsy was a rather superfluous character. He didn't make her different enough from Dorothy. In the foreward, it's clear that he's already planning to bring Trot and Cap'n Bill to Oz. I do think it's odd. And he wrote no backstory for Betsy. Was her family on the boat when it exploded? Is that why she's keen to stay in Oz? Even Betsy doesn't really say. I guess Ruth Plumly Thompson reunited her with her parents in one of her books. I haven't read any of the non-Baum books, though. I have a Life of Santa copy but I think it's an abridged version- it's full of lovely pictures though. I thought it was a bit too long and wordy to read to Stavroula this year, but it was read after all- my dad read it all when he visited us for New Year's, he basically read to himself but he did tell her parts of the story and showed her pictures. 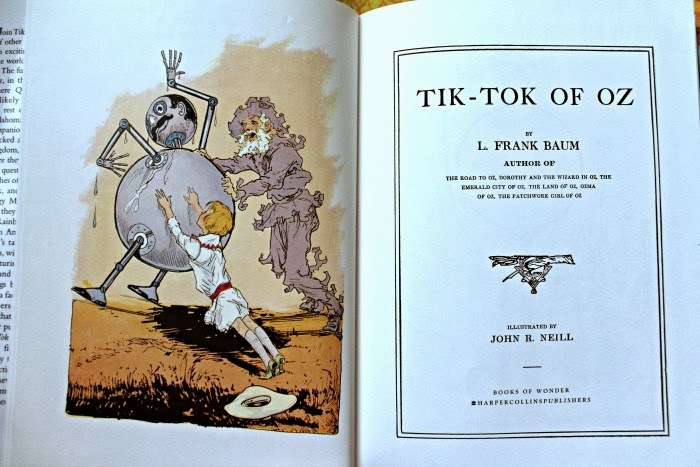 Gotta love Frank Baum!